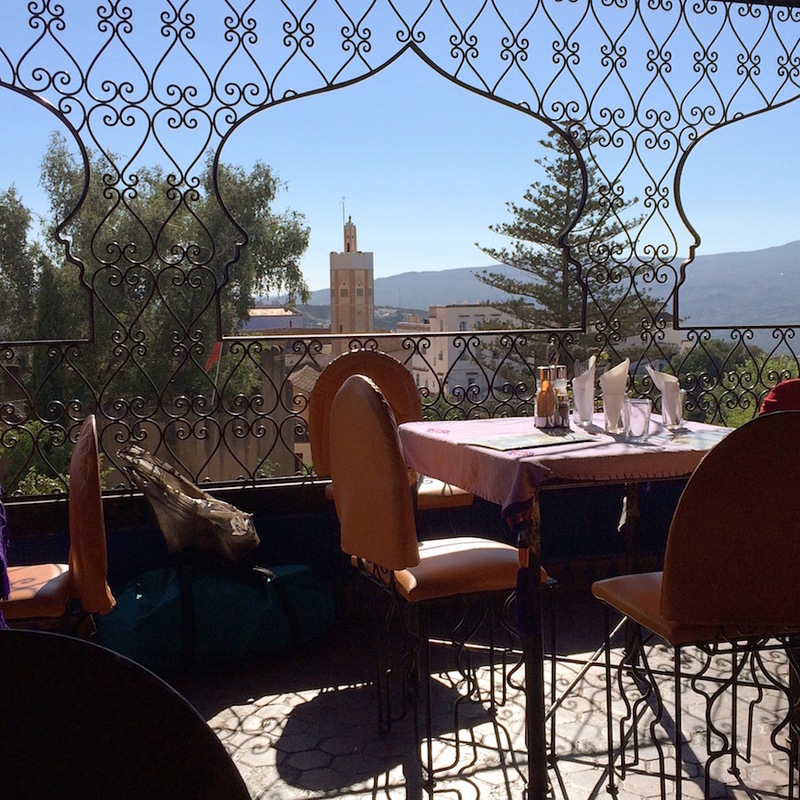 Finally we made it to Marocco! Just a 1,5 hour ferry trip from the andalusian coast you gonna step into another world. A great addition to your Yoga Retreat with us. Since years Marocco was on my travel list but I never made it to visit this country which is actually so close to our Retreat Location. I was sure I can’t go there without a male companion (read my résumé at the end of this article to find out what I think about this now). 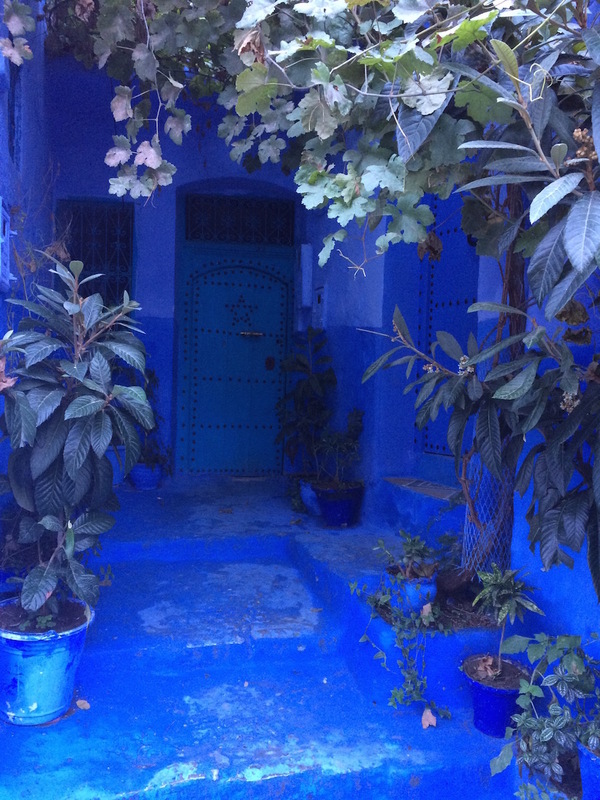 Well, last november after the Retreat Season my boyfriend and me got the tickets for the ferry, booked the rental car in Tanger and packed our bags. There is no doubt: It is much easier and probably cheaper to take the plane from Málaga to Marrakech. From Málaga we had to take a bus to Algeciras. It took us about 2 hours for the 140km. Close to the busstop in Algeciras you will find the harbour (walking distance, about 15 min.). 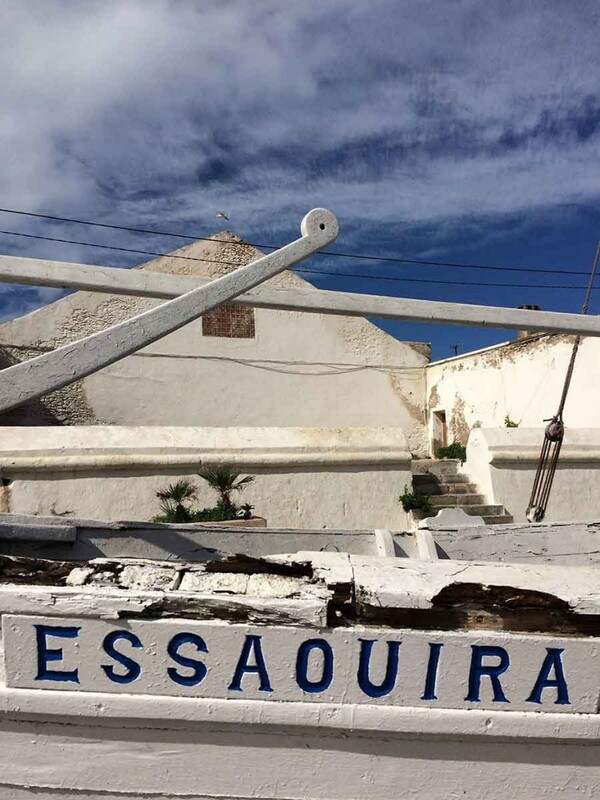 The ferry ticket is about 60€ round- trip per person and brings you in 1,5 hours to Tanger, a quiet big city on the north african coast. The best rental car offers were to find on the airport of Tanger. Thats a 1 hours bus ride from the harbour (MED) to the center of the city and another 20 minute Taxi ride from there to the airport. 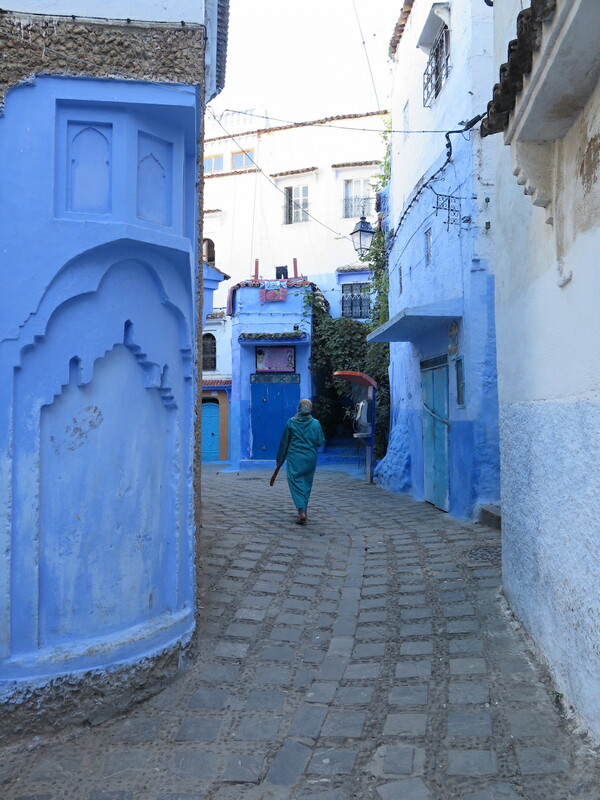 As it was already late afternoon we decided for a short drive of 2 hours to Chefchaouen, the blue city in the Rif mountains. 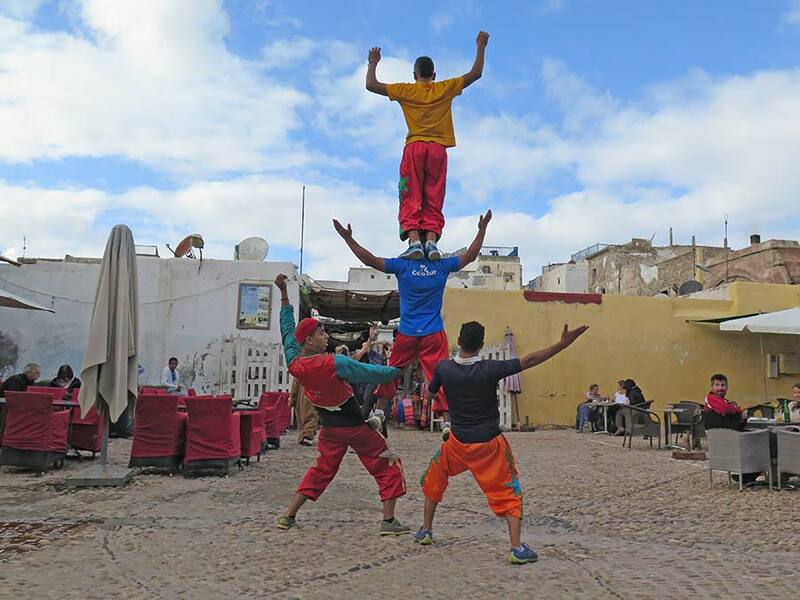 Marocco is chaotic like you expect it. 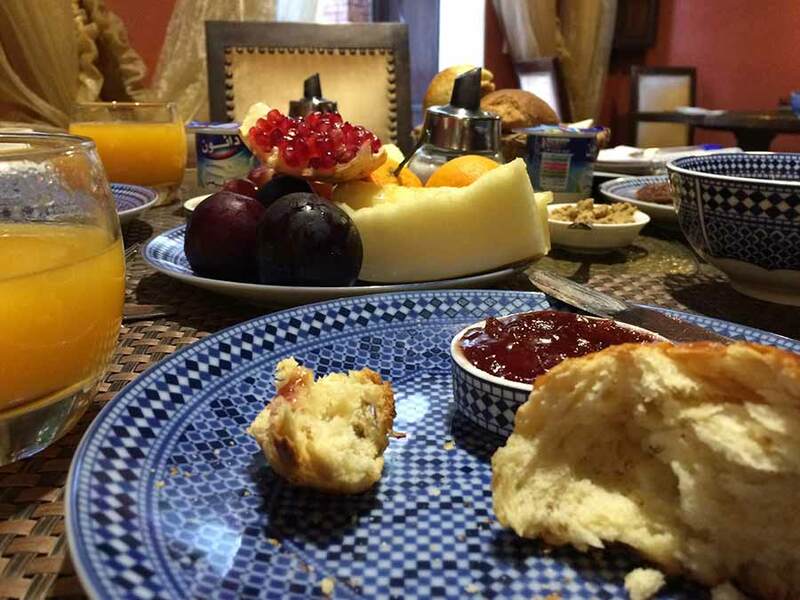 Especially when you arrive on a national holiday and everybody is in the streets celebrating 🙂 But we made it, found a parking spot, a hotel in the Medina (the old city) and a very nice restaurtant. The next day we discovered this stunning town. 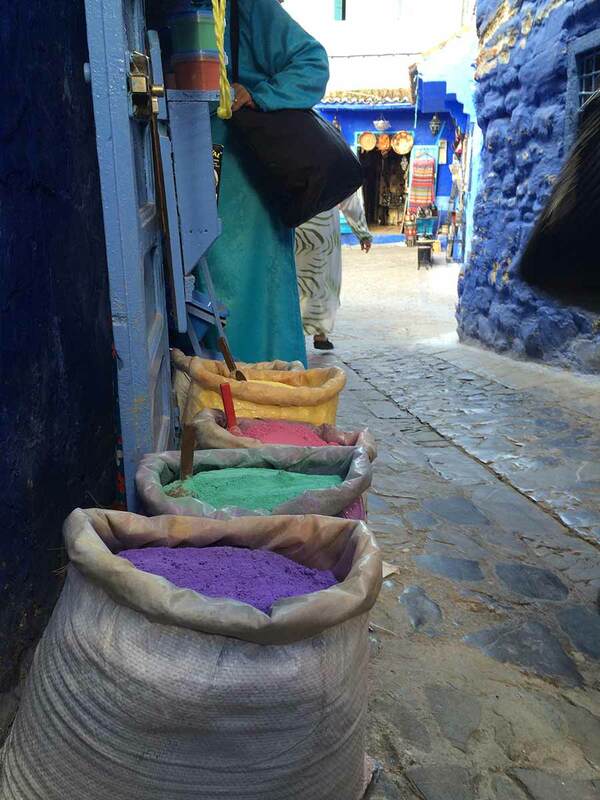 Beautiful places, colors, good food and everything far away from being hippster. Although this place is quiet touristy we really enjoyed the atmosphere. 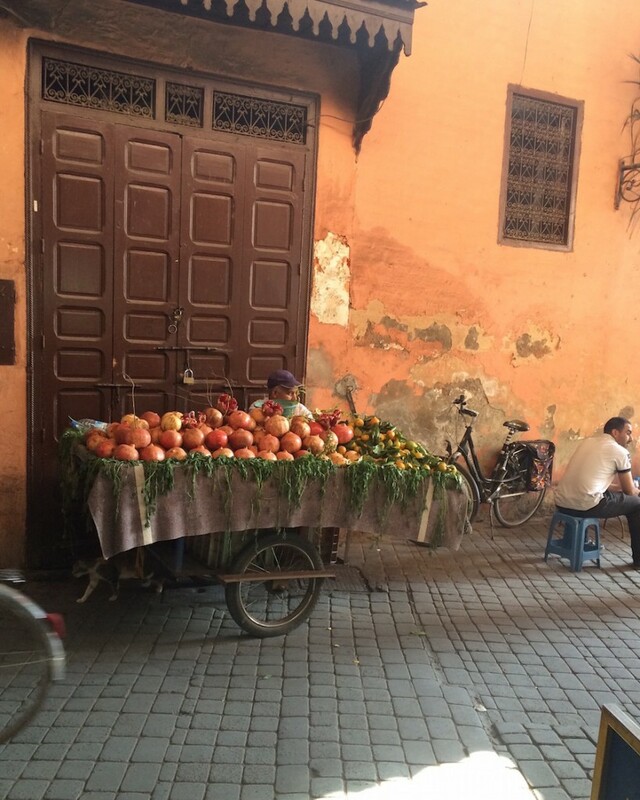 Well actually we had other stops in between but what we really loved was Marrakesh! We were lucky to meet a friend outside of the city. 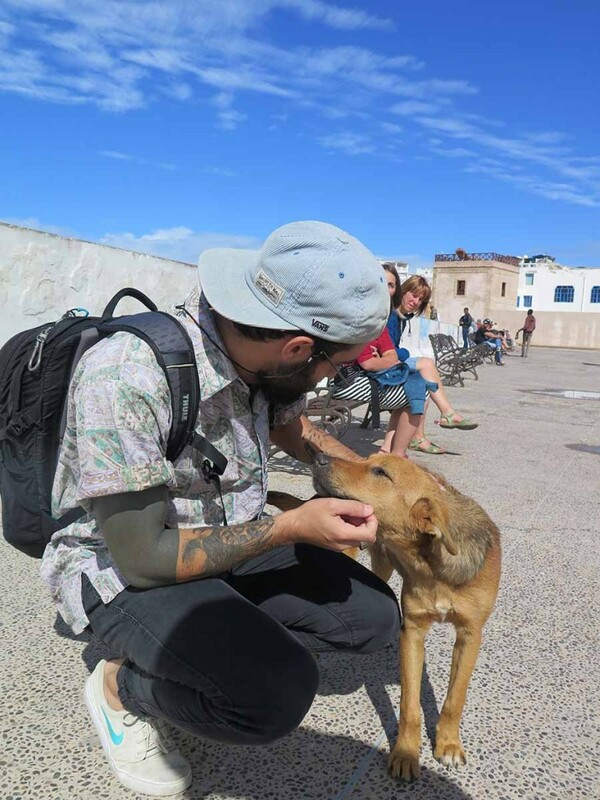 He helped us to find a parking spot close to the Djemaa el Fna, the main square of Marrakech. 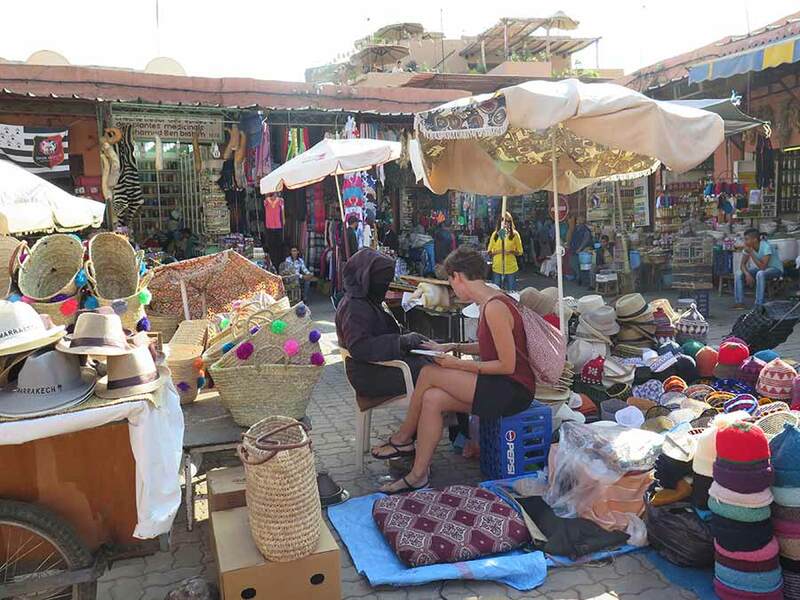 At the edges of the square you will enter the souk, a traditional North African market with common daily needs of the locals as well as typical products for tourists. 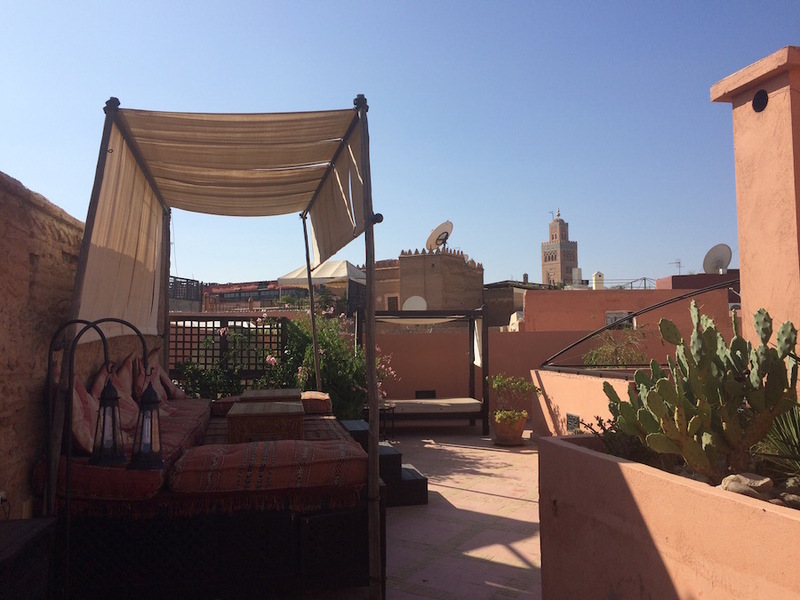 When you visit Marrakech you HAVE TO live in a Riad. There is no other way to live. 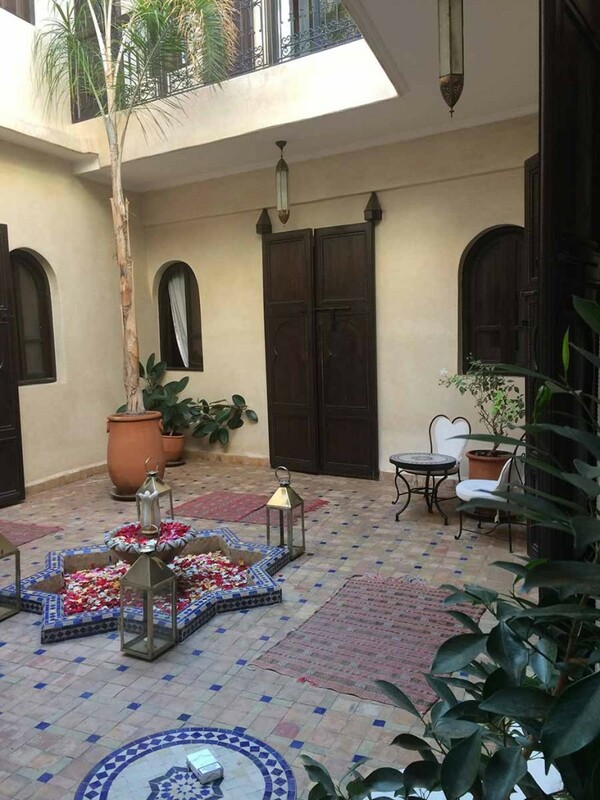 As we never make reservation in advance we were especially lucky to stay in the lovely Riad Al Rimal. 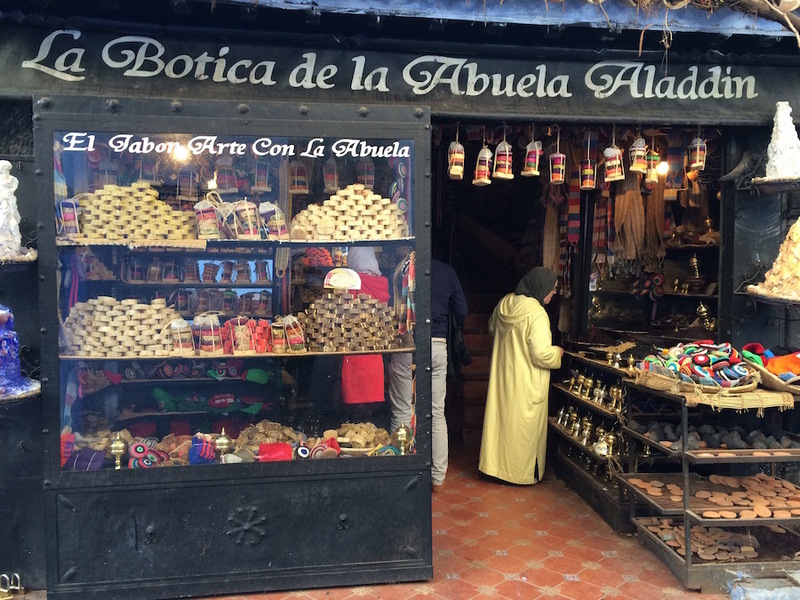 Finding the Riad is part of the adventure as they are located in the labyrinth of the souk. Usually there are locals which will help you to find your way and after many corners and dark alleys you knock a door and what you find behind is more then you could have wished for. After a short yoga session on the roof top we enjoyed the beautiful served breakfast with lots of fruits, fresh bread, yogurt and more. 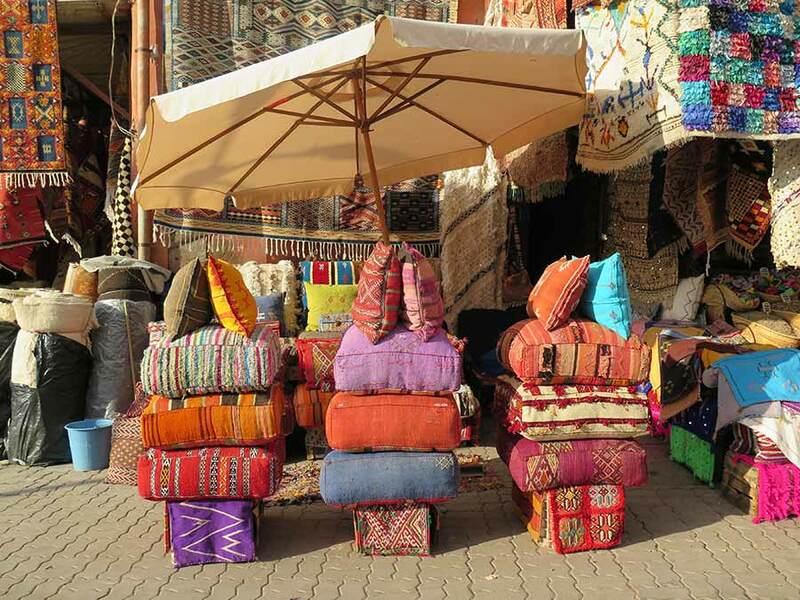 There are several things to do in Marrakech. 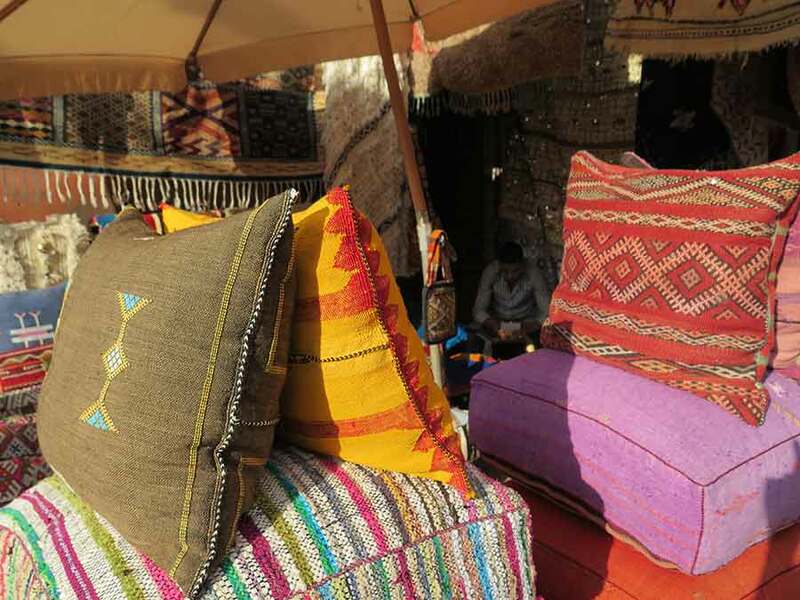 As we just had 2 days here we decided to discover the souk and the Djemaa el Fna first. 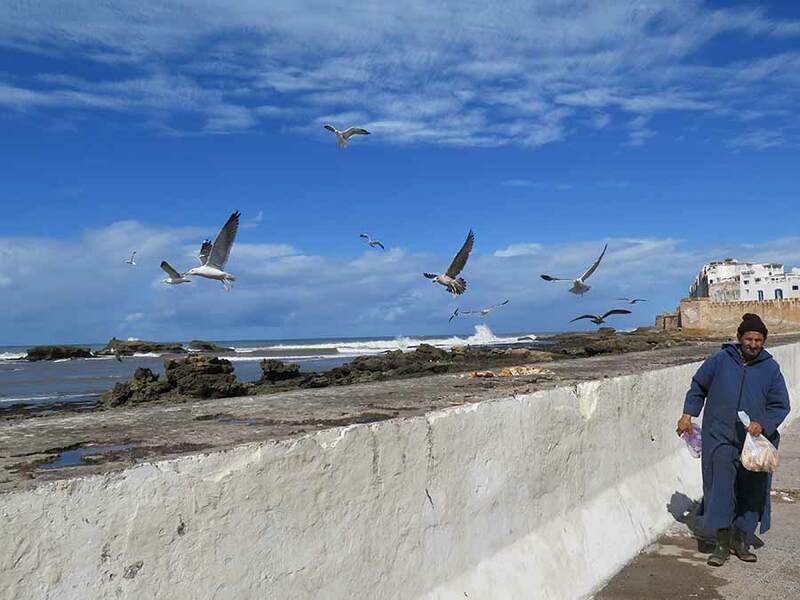 After Marrakech a visit in the nearby beach town Essaouira is a total must- do. 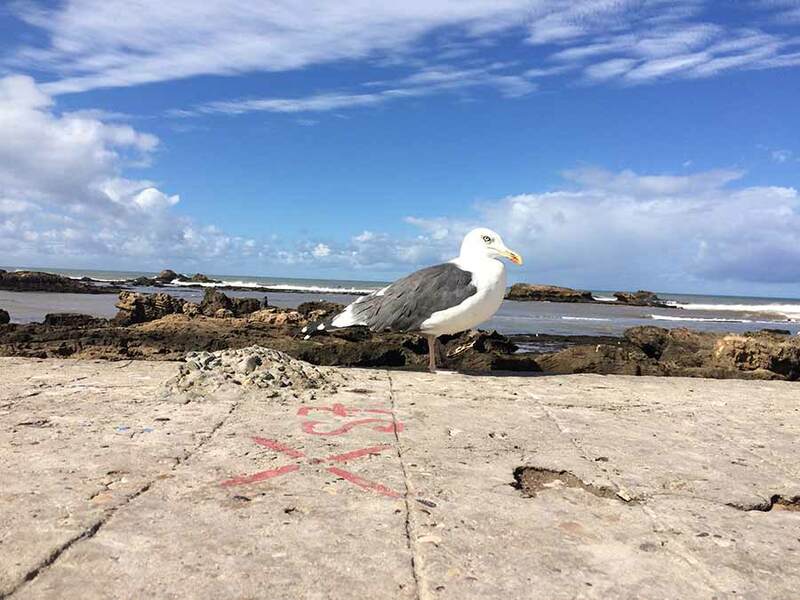 This small town with it’s long beaches, blue skies and international vibe is a total contrast to what you have seen in the rest of Marocco. 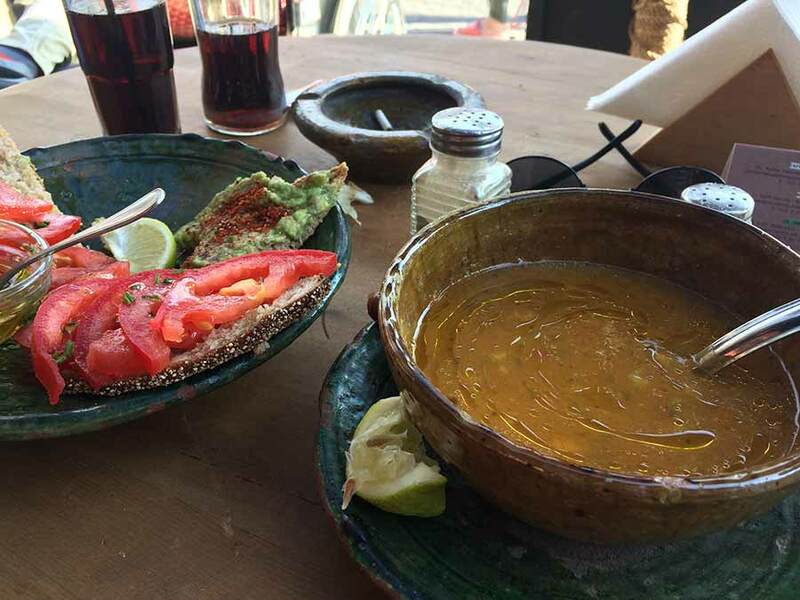 Rooms are quiet cheap in the low season and you will have a great variety of vegetarian food. Everything is already quiet hip and you have to pay the price for that but you can still find more traditional and fair priced places. Is it safe to travel trough Marocco by car? I love adventures. If you want to explore Marocco by car you have to like adventures. I felt save all the time although you are driving through very rural and lonesome areas. Sometimes you pass a small town and there are just men on the streets. Of course I felt a bit strange as a women and I decided to not get out of the car. I would not recommend to do this trip without a man, just because it made me feel much better to be with a male companion. 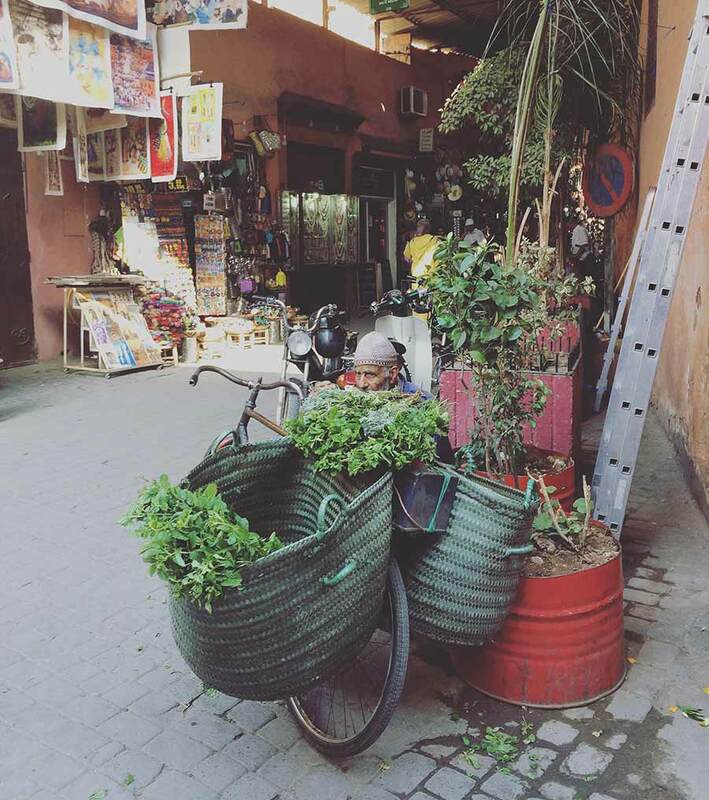 About Marrakech: Is it safe to travel as a female solo traveler to Marrakech? Ultimately, yes. Just like any city in the world, there is always some risk, when traveling alone. Everybody knows that in the Arabic society the understanding about men and women and their rights are different to the ones of the western world. 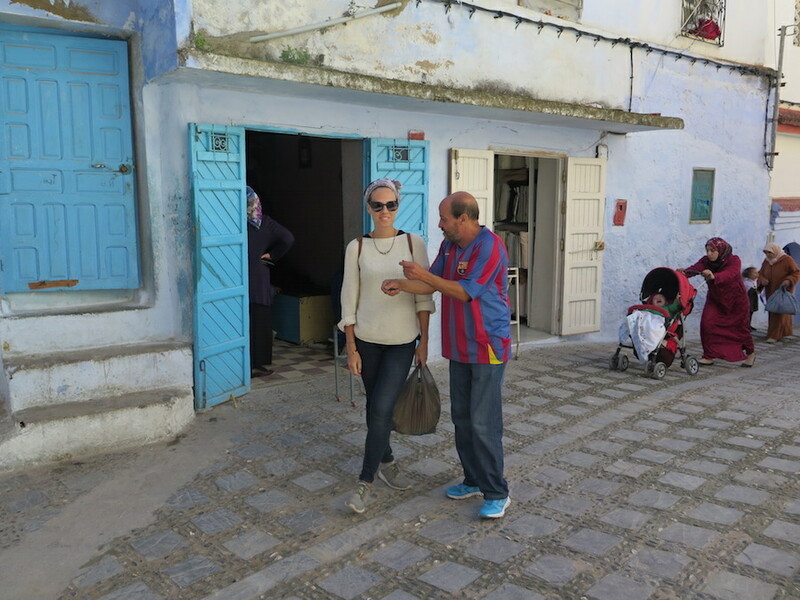 When traveling alone in Marrakech you will get unwanted attention. Don’t panic, most is harmless and meant in a friendly way. Follow your intuition, be smart and confident. 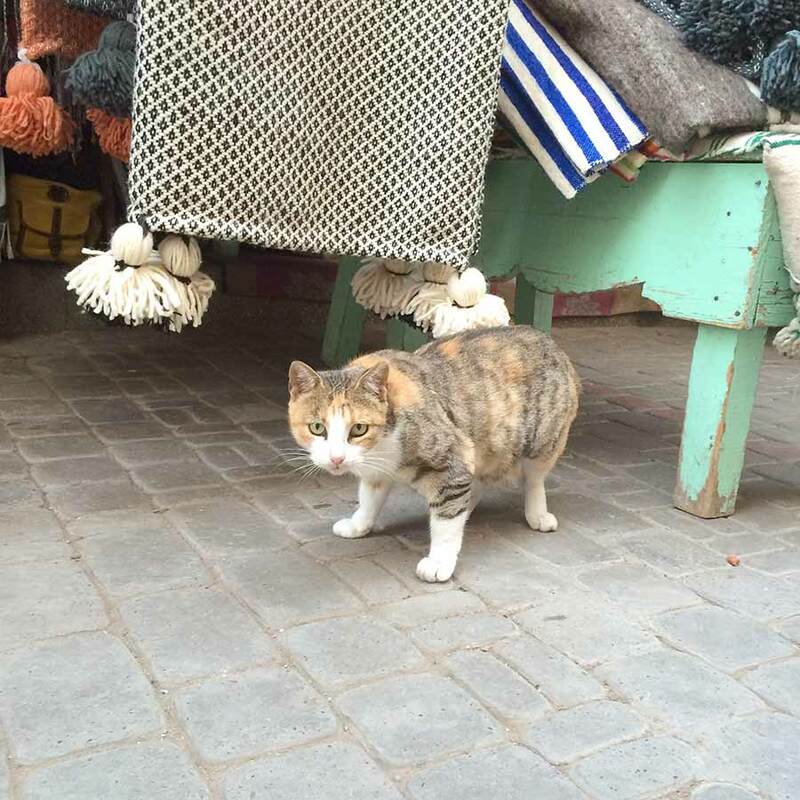 I will definitely return to Marrakech, with or without a male companion.